It’s often said that football has never fully appreciated its rich history and all too frequently, the game has sold its traditions down the river. But there’s a club in Sheffield that is using its heritage as a unique selling point in marketing itself at home and abroad. 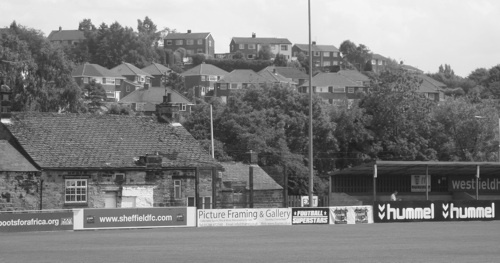 No, it’s not United or Wednesday, but Sheffield FC, the world’s oldest football club. It cannot be easy living in the shadows of not one but two Football League outfits, but Sheffield’s dynamic chairman, Richard Tims (pictured), believes his club has an advantage over the Blades and Owls internationally. “We are known all over the world as the oldest football club and nobody can take that away from us,” he says. Tims has used the club’s historic status, founded in 1857 and instrumental in creating the laws of the game, as a massive calling card. And the very distinctive branding of the club, playing at “the home of football” has real cachet. Tims has taken this abroad in search of kindred spirits, setting up a “Club of Pioneers” that brings together each nation’s oldest club. Students of the game identify with Sheffield’s unique role in the evolution of the world’s favourite sport. Why else would 50-odd Nuremburg fans come to Sheffield to see a pre-season friendly? 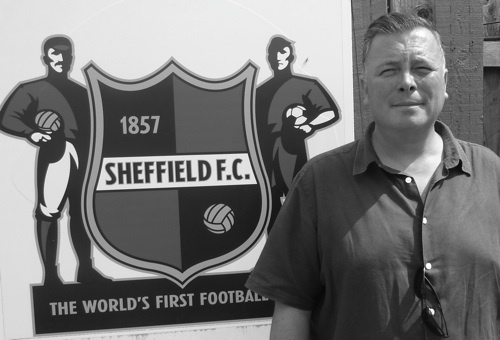 Or clubs in Kenya, Mexico and Italy want to embrace the Sheffield name? Furthermore, young Jakub, who helps market the club, travelled from Bratislava, Slovakia, to get involved. “It’s a special club that has a special place in the game of football,” he says, adjusting the period top hat he donned for “the world’s first derby” against Hallam, a game that even came to the attention of Russian TV! In 2004, Sheffield rubbed shoulders with the great and the good of the game when FIFA bestowed on the club the Order of Merit at an event that featured luminaries such as Franz Beckenbauer, Bobby Charlton and other top names. Sheffield are in good company, because the only other club to be awarded the FIFA Order of Merit is Real Madrid. In 2007, when the club celebrated its 150th anniversary, Sheffield played Inter Milan – Mario Balotelli and all – at Brammall Lane in front of almost 19,000 people. Among the special guests was the great Pele. Tims says this period was when the city of Sheffield woke up to what was going on in Dronfield, the quiet suburb where the club plays, at the Coach & Horses ground. “Until then, it had been hard to gain visibility, but people started to realize that they had something unique in their city,” recalls Tims. It has almost been easier for Sheffield to market itself abroad than in their own country. For many, they were a name from the history books and some people would have been forgiven that they had long since folded. Over the years, they played in the below-the-radar Yorkshire League and the North-West Counties League, although they did reach Wembley in 1977 in the FA Vase. It didn’t help that for most of their history they led a nomadic existence. It wasn’t until 2002, a year after Wednesday disillusionist Tims became involved, that the Coach & Horses ground became the club’s permanent home. If Tims’ manager, Ian Whitehorne, described as “the non-league Mourinho”, gets off to a good start in the Evo-Stik Northern Premier Division One South this season, that job might be made a little easier, but on the evidence of the activity in Dronfield, Sheffield won’t have to work too hard to get noticed…..
Next Entry A new “French menace”?